SAN FRANCISCO, Calif. /California Newswire/ — Moving to further mobilize states, provinces and cities in the fight against climate change, Governor Edmund G. Brown Jr. will convene mayors, governors and other regional leaders from around the world next week at the inaugural Subnational Clean Energy Ministerial (SubCEM) in San Francisco. This gathering will be held in conjunction with the seventh Clean Energy Ministerial (CEM7), an annual meeting of national energy ministers and other high-level delegates from 23 member countries and the European Commission, where the Governor will also speak. 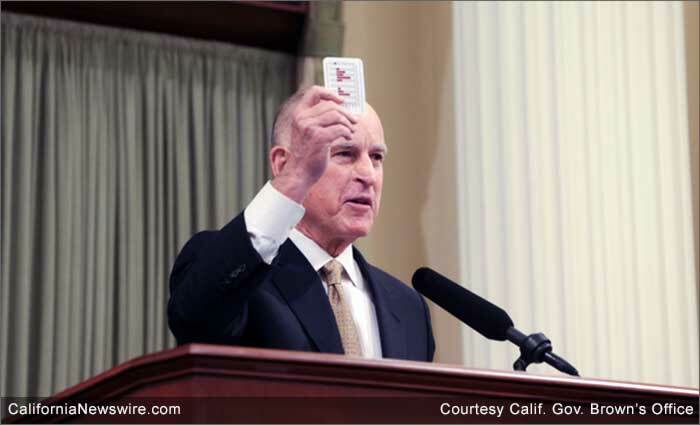 “California is now part of a worldwide movement of states and provinces that have committed themselves to combating climate change,” said Governor Brown. The inaugural SubCEM will highlight action from states, provinces and cities to use cleaner energy and reduce greenhouse gas emissions and, in addition to Governor Brown, will feature Oregon Governor Kate Brown, Washington Governor Jay Inslee and other subnational leaders from the United States, Germany, Mexico, Canada, Spain, Kenya, Italy, China and India. This event – and these actions – complement the CEM7, which brings together national energy ministers and other high-level delegates to promote policies and share best practices to accelerate the global transition to clean energy. Together, these events represent an opportunity to discuss how states, provinces, cities and countries will follow through on the commitments made at the UN Climate Change Conference in Paris, where Governor Brown and U.S. Secretary of Energy Ernest Moniz first announced that California would host the CEM7. The Governor’s itinerary is below. A list of all SubCEM events on June 1 and June 2 is available here. A full schedule of CEM7 events on June 2 is available here. Governor Brown will give remarks at the opening of the inaugural SubCEM. When: Wednesday, June 1, 2016 at approx. 9:00 a.m. Governor Brown will join Oregon Governor Kate Brown, Washington Governor Jay Inslee and British Columbia Environment Minister Mary Polak to discuss the need to reduce global greenhouse gas emissions by transitioning to cleaner fuels and the rapid scaling and expansion of renewable energy worldwide. When: Wednesday, June 1, 2016 at approx. 9:45 a.m. Governor Brown will join Oregon Governor Kate Brown, Washington Governor Jay Inslee, British Columbia Environment Minister Mary Polak and leaders from major West Coast cities to sign agreements highlighting Pacific Coast Collaborative members’ commitment to reducing greenhouse gas emissions. A media availability will follow the signing event. When: Wednesday, June 1, 2016 at approx. 3:30 p.m.
**NOTE: These SubCEM events are open to invited guests and credentialed media only. Reporters interested in attending must RSVP to Sandy Louey at Sandy.Louey@energy.ca.gov. Governor Brown will join U.S. Secretary of Energy Ernest Moniz, chair of the CEM7, to open the first public meeting of the CEM7 and deliver opening remarks. When: Thursday, June 2, 2016 at approx. 8:30 a.m.
**NOTE: All CEM7 events are open to invited guests and credentialed media only. Reporters interested in attending must RSVP at CEMSecretariat@hq.doe.gov.